Murray joined Smith, Salley & Associates in of September of 2016 with over 30 years of experience in fixed income markets. Murray is a native of Greenville, South Carolina and a proud graduate of the University of South Carolina where he graduated with a B.S. in Business Administration. Murray’s career began with Wachovia Bank in 1980. 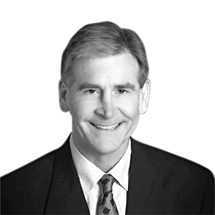 In 1982 he moved into fixed income management by joining the Bond & Investments group at Wachovia. In 1988 Murray co-founded First Winston Securities and was both a partner and principal. First Winston was acquired by Hatteras Financial in 2014 and at that time Murray became President and Chief Compliance Officer of First Winston until 2016 when Annaly Capital acquired Hatteras. Murray will be responsible for fixed income research, security selection and allocation, and contribute to the overall strategy implementation in our fixed income strategies. His primary areas of expertise are in Government Agency, Municipal, and Agency Mortgage Backed Securities. Murray and his wife, Eileen, currently reside in Winston-Salem where they enjoy golf, fishing and travel. They are the proud parents of two boys, John and James. To contact Murray you can email him at murray@smith-salley.com.